Officially Licensed. From 1957-1964, Chief Records churned out hit after hit from blues music greats. This classic Junior Wells number was one of the biggest. 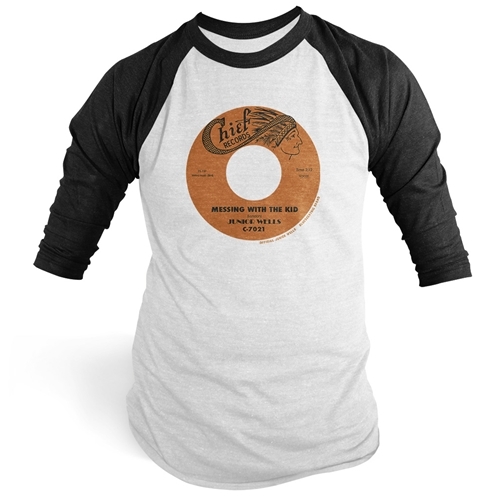 This t-shirt is the original vinyl record label of Junior Wells' "Messin' With The Kid". Because Bluescentric cares about the music, every tee sold directly benefits Junior Wells' estate. 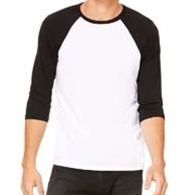 The official Chief Records raglan baseball shirt comes in comfortable, lightweight 4oz 91/9 poly/ringspun cotton sizes up to 2XL.